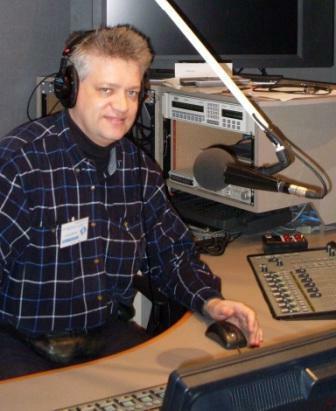 (Primetime, tbs eFM Radio 101.3MHz, 29 March 2011) The UN issued a recommendation that the international community supply more than 430 thousand tons of emergency aid to more than six million North Koreans. It warns of serious food shortages in North Korea. The US will soon issue its statement on whether to resume its food program to the North; US Senate Foreign Relations Committee Chairman John Kerry issued a statement arguing for the resumption of humanitarian food aid to the North as well. What should South Korea do at this juncture? Joining us to talk more about this issue is Dr. Leonid Petrov from The University of Sydney. Q1. How bad do you think the situation has deteriorated since South Korea and the US stopped all food aid to North Korea since the ‘Sunshine Policy’? LP: Between 1998 and 2008 the two South Korean administrations provided the North with unconditional aid of huge proportions. The Kim Dae-jung government delivered US$2.48 billion worth of aid, and his successor Roh Moo-hyun authorised the release of additional US$4.7 billion (of which US$1.57 billion was in cash). About 450,000 tonnes of food was delivered free of charge to North Korean granaries from the South every year from 2003 to 2007. Its distribution was almost unmonitored and no obligations of any kind were attached. Additionally, 300,000 tons of chemical fertiliser was sent to the North each year to improve its agricultural yield. Chinese shipments of food aid and trade were roughly equal to those of South Korea, and the United States provided more than US$1 billion worth of food and other humanitarian aid to North Korea. But after 2008, when the conservative government of Lee Myung-bak came to power in Seoul, the Sunshine Policy was immediately scrapped while all economic aid to Pyongyang became directly linked to the progress in denuclearisation and democratisation of the DPRK. Since then the North Korean economy is short of the minimal target figure by 500,000 tonnes of food every year which means the welfare of approximately 6 million people is dependent upon foreign aid or the willingness of the regime to import food. Q2. The UN is urging international food aid. The report by five organizations (Christian Friends of Korea, Global Resource Services, Mercy Corps, Samaritan’s Purse and World Vision) describes the dire situation in North Korea. Do you think this should be resumed based on the need for humanitarian aid? Why or why not? LP: Surely, if we want to see some 5-6 million people alive and healthy by the end of the “lean period” (April-June) the concerned governments should provide North Korea with humanitarian aid. On 25 March, the United Nations World Food Programme (WFP) welcomed a generous donation of US$1 million from the Government of India for its operation to reach the most vulnerable children and their mothers in the DPRK. Considering we help the flood victims in Pakistan and drought victims in Afghanistan, why not also assist the impoverished people of North Korea? Q3. Part of the criticism concerning food aid was that it was being stored for military use while the civilian population was starving. Are these claims substantiated with evidence? Is there a way to track down who receives the aid once it is delivered to North Korea? LP: We have to remember that the Korean War, which began in 1950, was never concluded with a proper peace agreement. Since then, both halves of Korea live in constant fear of resuming hostilities. National military service in the DPRK is mandatory and very long (up to 10 years in the Army and Air Force and even longer in the Navy). More than 1.1 million young men and women serve in the KPA without salary or wages and rely on the daily rations of free food, uniform and regiment accommodation. Many more millions are ready to be conscripted and work at government-assigned projects according to national needs. In North Korea, the Army and the People are inseparable, and by feeding the Army, the North Korean regime simply maintains the traditional food distribution system. The KPA receives, stores, protects and consumes a certain proportion of international humanitarian aid. There is no other government agency in North Korea that could do this better or more efficiently than the Army. Q4. The United States emphasized the need to distinguish between political matters and humanitarian issues. This would seem ideal, but indeed when North Korea is denying all responsibility of sinking of the Cheonan 천안, and with no formal apology concerning the Yeonpyeong Island (연평) incident, it is difficult to ignore the political aspect. What do you think the political intentions of the United States is in (showing signs of) resuming food aid? LP: There is still no conclusive evidence linking the sinking of the Cheonan Corvette to North Korea, however, the shelling of Yeonpyeong Island was clearly provoked by the South Korean side who staged military exercises in the disputed waters around the controversial Northern-Limit Line (NNL). Neither incident would have occurred if the agreements of the October 2007 Inter-Korean Summit had been implemented and the new Haeju Free Economic Zone around the Onjin Peninsular had been completed. The ‘Sunshine Policy’ prioritized economic and humanitarian cooperation over political and military considerations, and it was quite effective. U.S. officials seem to understand the striking difference between the situation then and now and have said they will scrutinize the WFP’s report. These days the Senate Foreign Relations Committee Chairman, John Kerry, is calling for the resumption of aid to North Korea if it can be properly monitored. I agree with the Massachusetts Democrat saying that it is tempting to withhold food assistance until North Korea abandons its pursuit of nuclear weapons or adopts economic reforms, but we have known since the late 1990s that Pyongyang is willing to allow its people to suffer enormously in that some 5-10% of ordinary North Koreans died before the first international food relief was received. This tragedy cannot be justified by any policy, regardless of how honorable its goal might be. Q5. The Korean government is criticizing the UN report on North Korea’s situation, saying much of the situation could have been staged for the inspectors. On the other hand, those pushing for food aid are criticizing the Korean government, saying they are trying to escape responsibility for food aid. Of course, the North Korean government could have manipulated some aspects, but the situation in North Korea seems to be deteriorating all the same. – Do you think the report is an objective source? LP: This year, the food crisis in North Korea is likely to be exacerbated by the result of the last year’s devastating flood, which badly damaged the economy of the Northern provinces (particularly the Sinuiju area) by washing a large layer of fertile soil from the paddocks down to the sea. The exceptionally cold winter of 2010/2011, made predictions for the new harvest rather pessimistic. The continuing outbreak of foot-and-mouth disease has already decimated the stock of cattle, buffaloes, sheep, goats, swine and other cloven-hoofed animals that become too weak to be used to plough the soil or reap harvests, suffer significant weight loss, and produce less milk. Ultimately, the climbing oil prices once again make gasoline prohibitively expensive, further undermining the chances of recovery for agriculture and public distribution system. Even if the UN report on North Korea’s situation is prejudiced one way or another, there are objective reasons to believe that the food situation in 2011 for many North Koreans is going to be worse than it was in 2010. Q6. The South Korean government is allowing small-scale food aid, limiting the items to those that are consumed by infants and children. Do you think this is the first step into resuming food aid by the South Korean government? Is this a wise move? LP: In the North Korean context such limited donor policy means that the infants and children of the elite (the privileged class of Party bureaucrats) would survive, while the children of common people would suffer and have their health damaged for life. South Korean producers dump millions of tons of quality food in the sea that could bring famine relief to their brethrens in the North. I think that it would be much wiser for the ROK government to assume more active responsibility for the wellbeing of the people residing in the territories which will sooner or later return to the jurisdiction of Seoul, I mean the future unification of Korea. Q7. North Korea is going through its third regime change, and nobody is certain what is in store for 김정은. Is there a possibility that food supplies and the alleviation of hunger will strengthen support for the North’s regime? LP: I think that “regime change” is a wrong term. The affirmation of Kim Jong-eun as the heir apparent serves to convince the North Korean elite and the common people that no policy change should be expected in the future. The current DPRK regime will continue with the new figure-head as well as younger faces in the decision-making bodies. The dire food situation is damaging to the legitimacy of the regime, but the centenary of the birth of Kim Jong-il’s father, Kim Il-sung, is approaching fast. To boost public support for the new-generation leadership the government of DPRK may try to improve its relations with the neighbors to obtain additional concessions and aid. The international community and private donors should use this opportunity to deliver food aid because it is almost certain that it will reach the most needy recipients. Q8. Do you think food aid should be resumed at the civilian level, or should the government be leading the way? – How will food aid affect inter-Korean relations in the long run? LP: In the South Korean context, where the National Security Law still dominates inter-Korean relations and limits contacts between the people of North and South Korea to an absolute minimum, it is impossible to expect much initiative from the people without the government’s control and leadership. The best balance between the grass-root initiative and government support was achieved during the 10 years of “Sunshine Policy”, the main principle of which was: “give first, take later”. It’s time to understand that there is no alternative to such policy, and the sooner the ROK government resumes it the brighter will be the future for Korea and Koreans. …Will donors respond? The largest donors have been the U.S. and the ROK. Both have withdrawn aid and imposed draconian sanctions because of the DPRK’s nuclear weapons program and military aggressiveness. Some in the ROK argue that new food aid will be diverted or siphoned off by the government, or stockpiled for use during celebrations of the 100th anniversary of the late North Korean founding father Kim Il-sung’s birth in 2012. I have visited the DPRK since the 1980s and know that the first to die are referred to in the Bible as the wretched of the earth. These are those in the remotest countryside, the prisoners in labor camps, the families that depend on a depleted public distribution system, the elderly, the women and children. 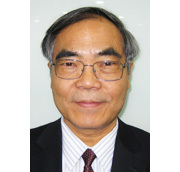 Victor W. Hsu is a professor at the Korean Development Institute School of Public Policy and Management. He served as a national director for North Korea of World Vision International. He can be reached at victorhsu@kdischool.ac.kr.